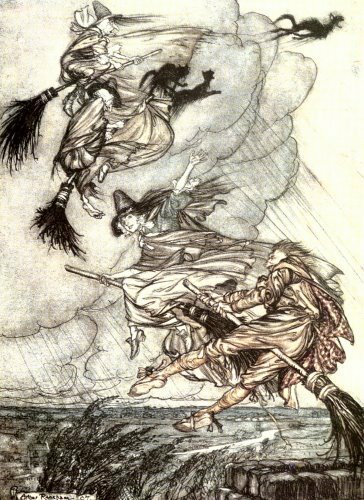 I was first captivated by the illustrations of Arthur Rackham by reading the Ingoldsby Legends. As children we weren’t really allowed to read this book because of the dark subject matter (mostly horror poems and stories). Some of the illustrations were enough to induce nightmares – but all that made it all the more exciting! 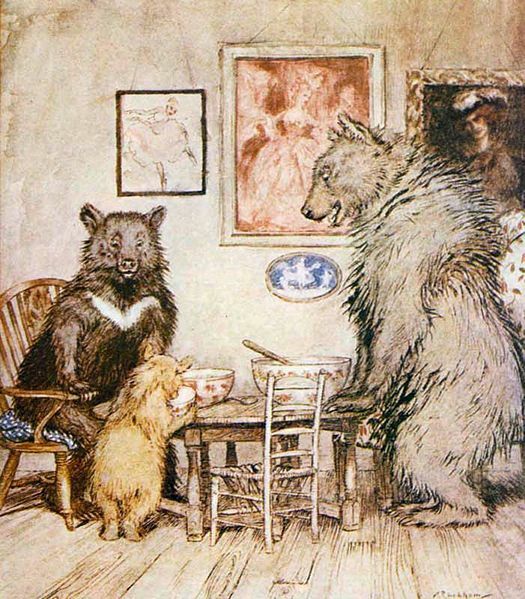 London born Rackham (1867 – 1939) illustrated a great many journals and books. His style is easily recognised, because he uses muted water colours, his style is imaginative and whimsical and there are always tiny details in the picture which gradually reveal themselves to the viewer, making the work even more enjoyable. Rackham crops up everywhere. 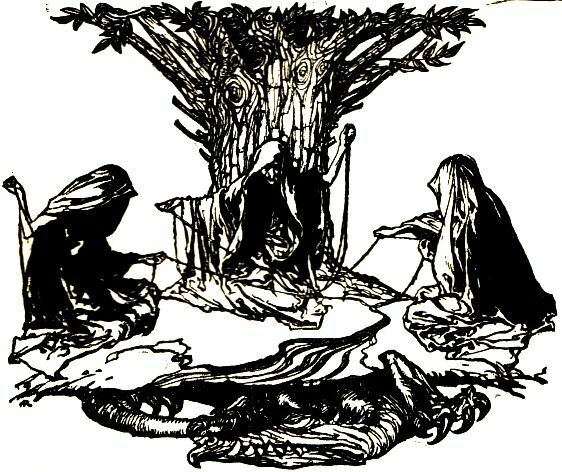 I even came across his illustrations when I was researching the story of ‘The Ring’ by Wagner. He was a prolific illustrator. His Victorian style was in keeping with his imaginative readers, full of fun yet exciting too. He illustrated poems too – Goblin Market by Christina Rosetti among many. 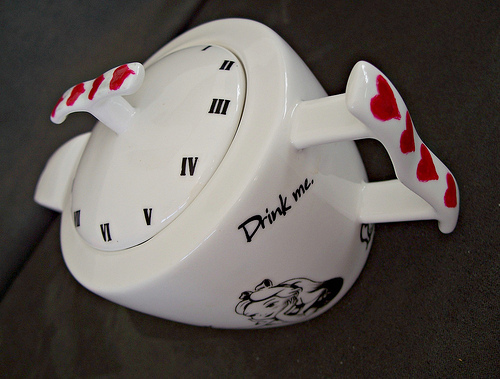 Rip Van Winkle, Peter Pan – even Alice in Wonderland. When I look back at his illustrations, he recaptures my childhood and fills it with carefree days of hiding away with books (forbidden and allowed) and transports me back to a magical land where the sun always shone and the corners were filled with the darkest shadows. What a wonderful contribution to childhood! 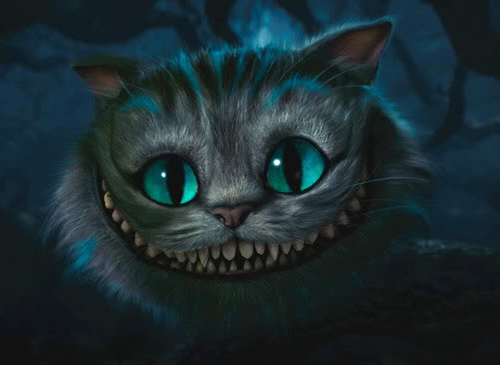 I got to watch Tim Burton’s Alice in Wonderland in 3D the other night. I’d never seen a film in 3D before, so didn’t really have a clear idea of what to expect or what to compare it to. I’m also a big fan of the Alice books, so I was hoping that I wasn’t going to be disappointed. Alice (played by Mia Wasikowska) is now nineteen penniless and Fatherless. 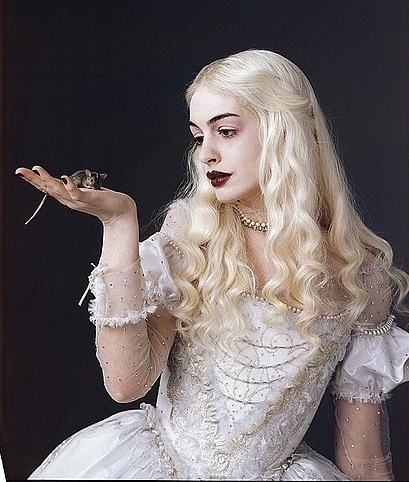 She is in line to marry an upper class buffoon, but is preoccupied with visions of the white rabbit and dreams of Wonderland. It seems that she has some unfinished business there. A party is held to cement the engagement (it seems a forgone conclusion that Alice will accept, given her circumstances). Everyone waits with bated breath to hear Alice’s acceptance. Unfortunately, the wayward Alice catches sight of the white rabbit again and speeds off after it, down the rabbit hole and back into Wonderland. 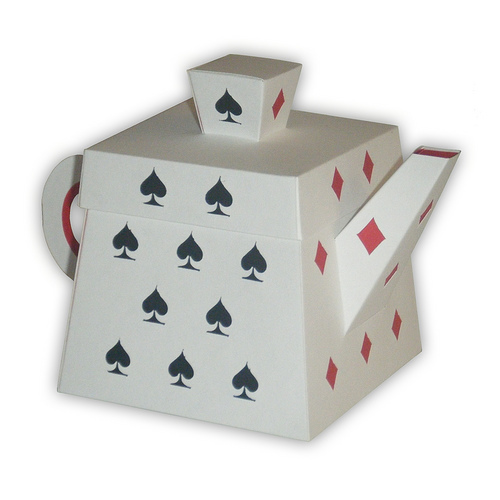 Here Alice shrinks and expands with much alacrity – and good effect. 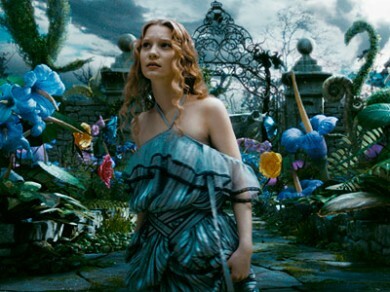 Wonderland is not as she left it though, there has been much trouble since Alice the child left. 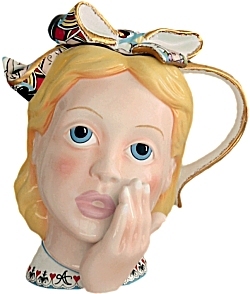 The nineteen year old Alice has grown up and is accused of losing her muchness by all and sundry. 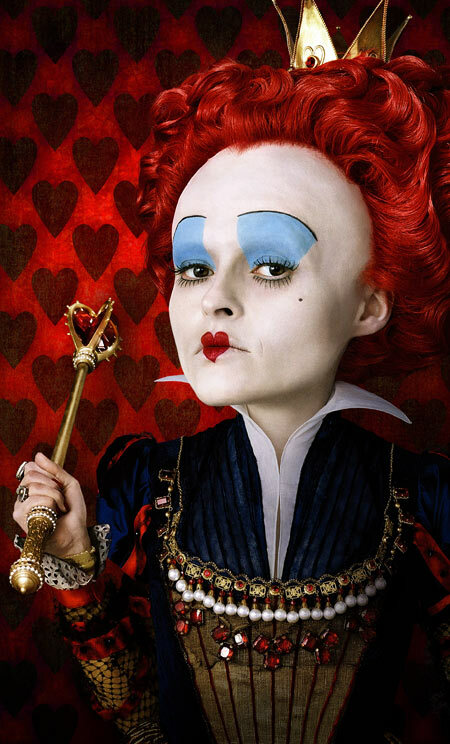 In fact she has a job to convince everyone that she is indeed the original Alice. 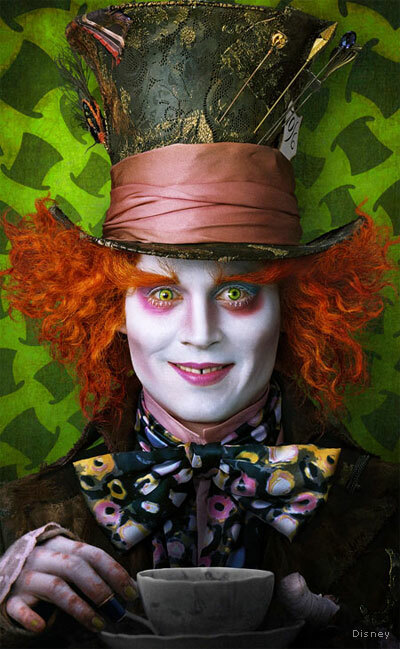 Everyone seems madder including the Hatter (played by Depp with suitable madness). 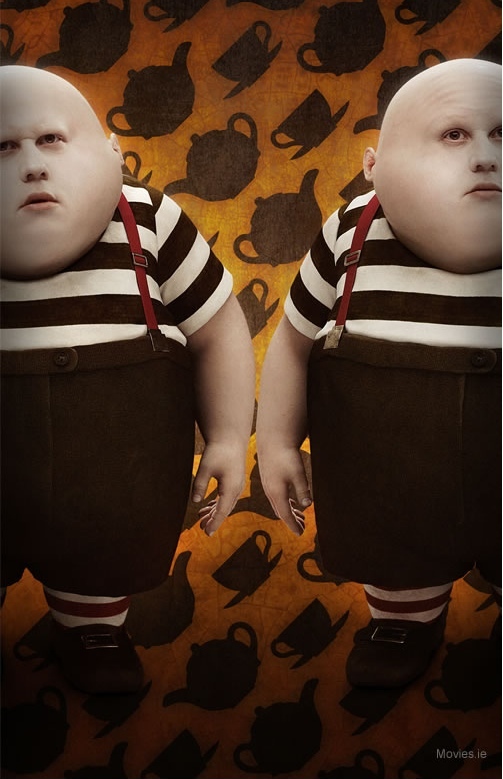 Tweedledum and Tweedledee are both Matt Lucas – only much rounder. the Bandersnatch is made much of (probably because he is linked in the Jabberwocky poem). The Jabberwock itself is horrifying and hideous and rather dragon like. Therefore there an inevitable George and the Dragon scenario ensues with Alice as St………Joan not George. Curiouser and curiouser…..
Wonderland and Looking glass collide and we have the caterpillar stoned out of his very blue head and Dinah the Cheshire cat a wispy vaporising vision. Watching this in 3D, I was amazed when this grinning feline seemed to come right out of the screen and into the audience! It seemed so near that you could almost touch it. There are a few of these little projections – but not too many to spoil the film. I’ve never seen anything in 3D before apart from ‘life’, so I didn’t know what to expect. But overall I found the film quite entertaining. Some of the special effects are great and I especially like the way that the Victorian Alice proved herself independent in her thinking. The story itself left me dissatisfied though and perhaps this was because it is childhood tale taken into adulthood – an adult in a childs world. 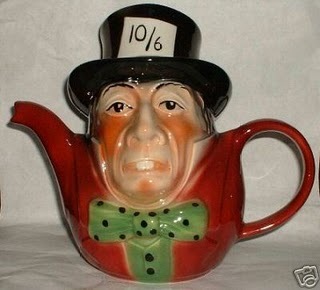 Maybe this was deliberate on Burton’s part, to make Alice seem ungainly. 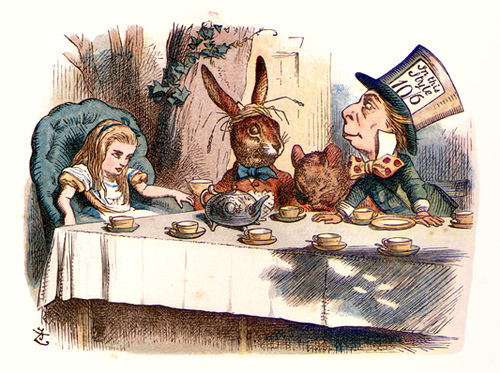 As it is, Alice doesn’t really fit into either world – Wonderland or her real life. Bonham Carter is a spoilt nasty cruel little Queen, the exact opposite to her sister the white Gaga like queen who is frankly, just ‘odd’ and a little to like Glinda the good queen out of the Wizard of Oz for my liking. 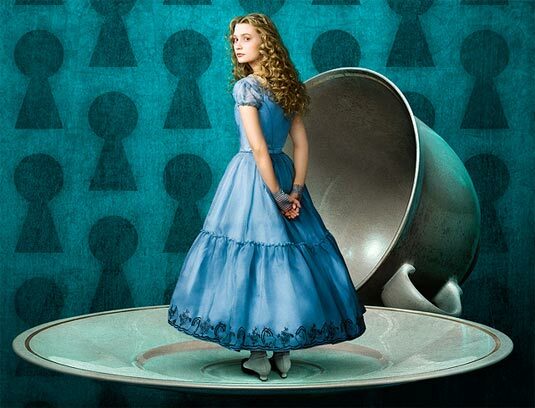 Yes, there is some Lewis Carroll in this film, but I think in order to avoid disappointment, accept that though there are various components and characters from the books – this is no fairytale or literal translation of Carroll’s books. once you have accepted that, it’s time to put your 3D glasses on, lie back and enjoy this film! It may be March 1st when I’m writing this – but it will be March 2nd when you read it as I always schedule my posts and I’d forgotten all about St Davids Day. No point of celebrating it now (those ancestors will be spinning in their graves, along with St Andrew and St Casimir). 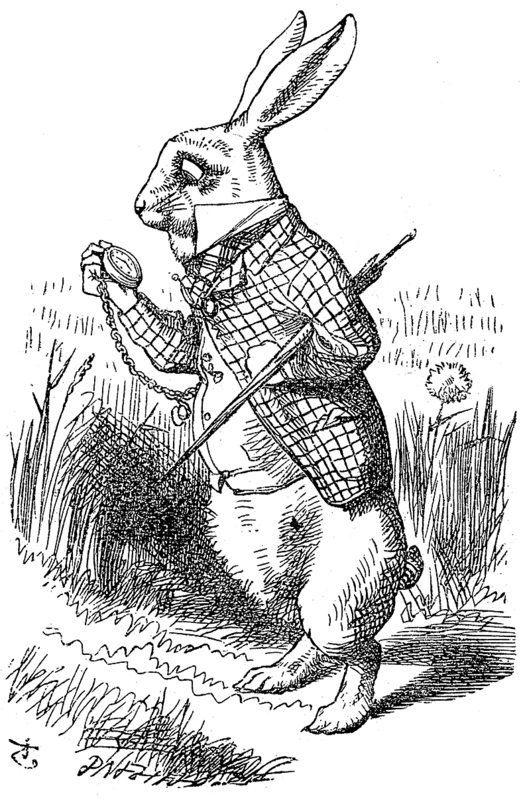 When I think of March 1st (which I obviously did – but too late) I always think of white rabbits. We were always told that it was lucky to say ‘white rabbits’ three times when we woke on the 1st day of March. But why? 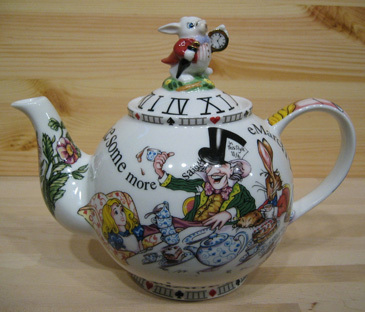 The wonderfully mad March hare in Lewis Carroll’s Alice in Wonderland is another reminder of this month…and the Tim Burton film. The hare cannot keep still in the story and is full of energy. 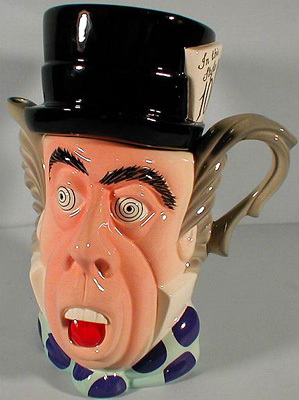 In real life he’s not much different either (though he’s not drinking tea…) he is leaping, twitching and boxing other hares in an overly excited way. 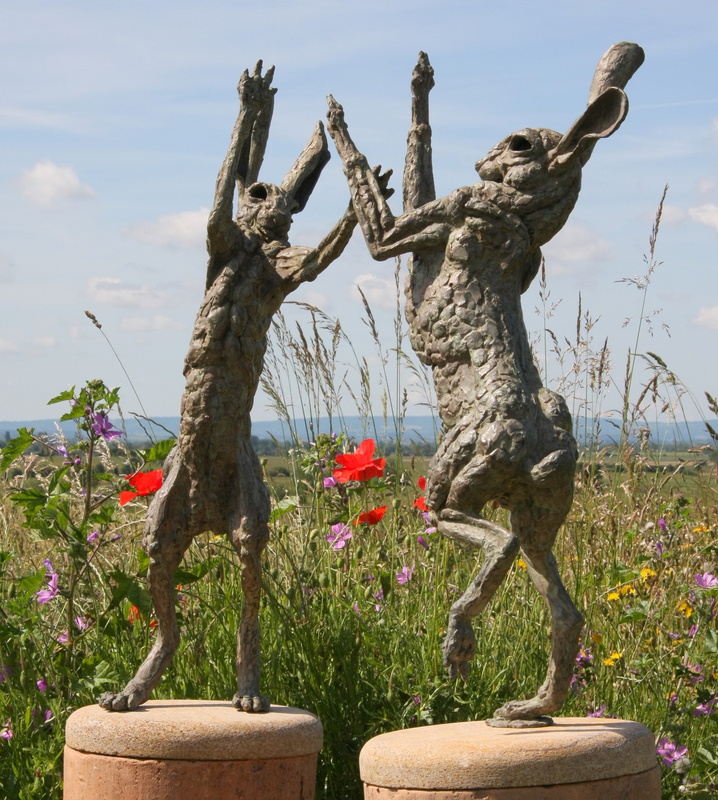 Is it a coincidence that hare’s mating season begins February and carries on until September? Perhaps they’re at their most erratic in March? 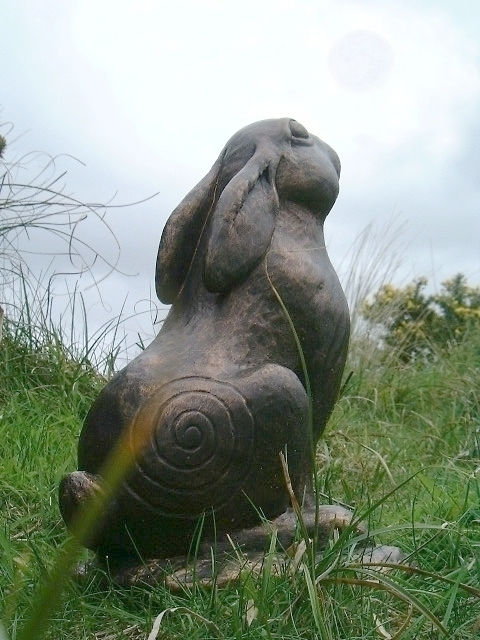 A lot of hare sculptures are depicted as gazing at the moon. 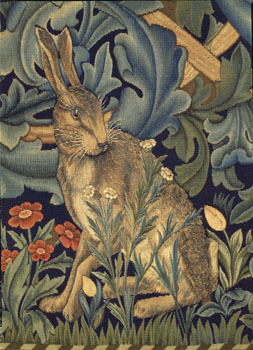 Pagans believed that a hare staring at the moon brought fertility, regrowth and rebirth. the hare is sacred to the goddess Eostre which gives her name to Easter and of course the reincarnation of the hare into the Easter bunny! I won’t be caught out again with my white rabbits (the same applies to every month). 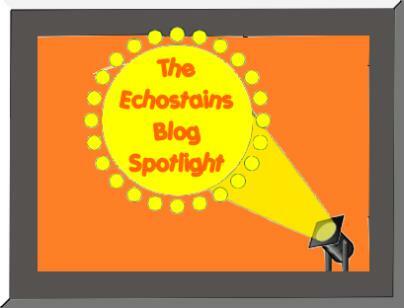 Also, forewarned is forearmed and I shall be looking out for the Ides of March (15th ) too ……..